cricut maker review... — hello, y'all. my friends at cricut invited me to their make-a-thon event back in early august and while i assumed they would launching a new product, i had no clue how big it would be! three new products, including the maker! in my opinion, the maker is unlike any craft machine on the market. featuring a brand new adaptive tool system, the maker cuts with a force 10x greater than previous cricut machines. with these updates you can cut so much more, including fabric without stabilizer. say whaaaaaa? that's right, the maker will cut tons of fabric as well as leather and balsa wood. the maker also comes equipped with a rotary blade, a new feature that made this quilter giddy. the rotary blade uses a gear system that will give you precision cuts each and every time. 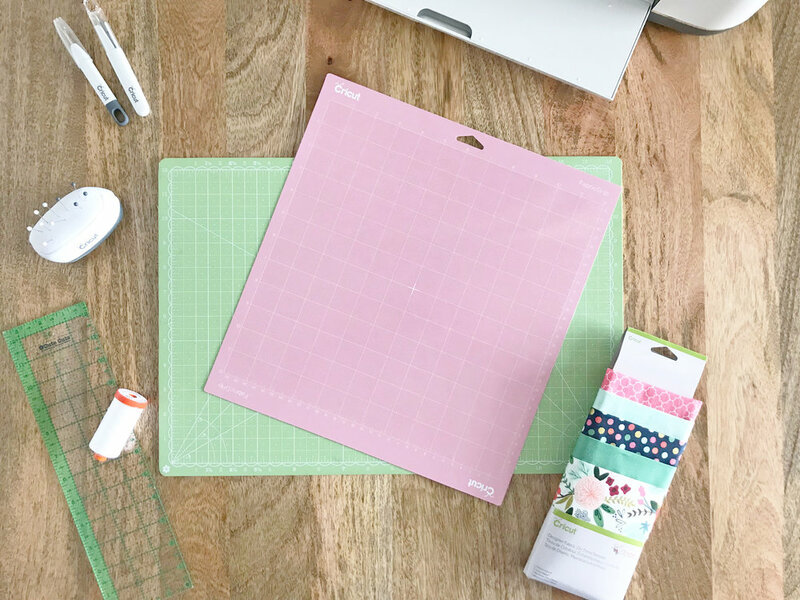 cricut also updated their mats to include a fabric mat to use with the rotary blade. it comes in two sizes 12'' x 24'' and 12'' square. cricut also developed a washable fabric marker (which you can purchase separately) that will mark your fabric. 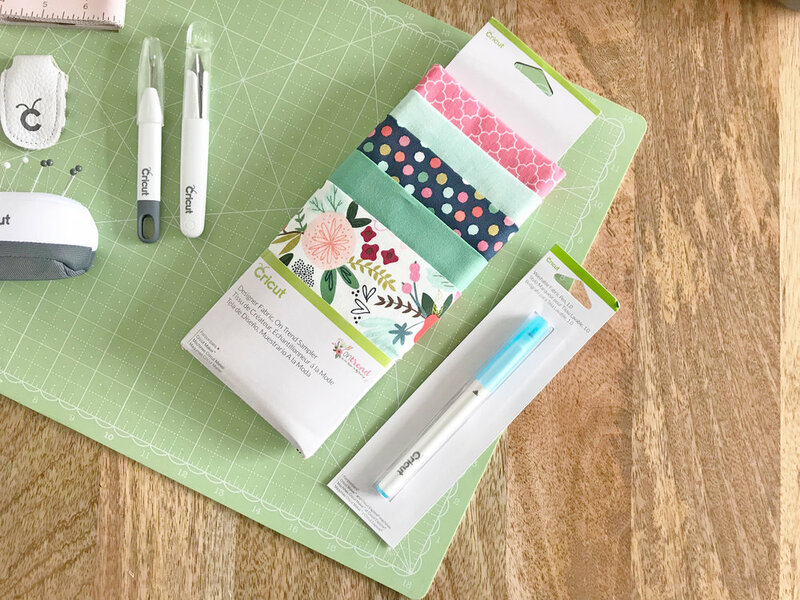 it's the perfect accessory to the updated cricut design space which includes make-it-now digital projects from riley blake designs and simplicity. 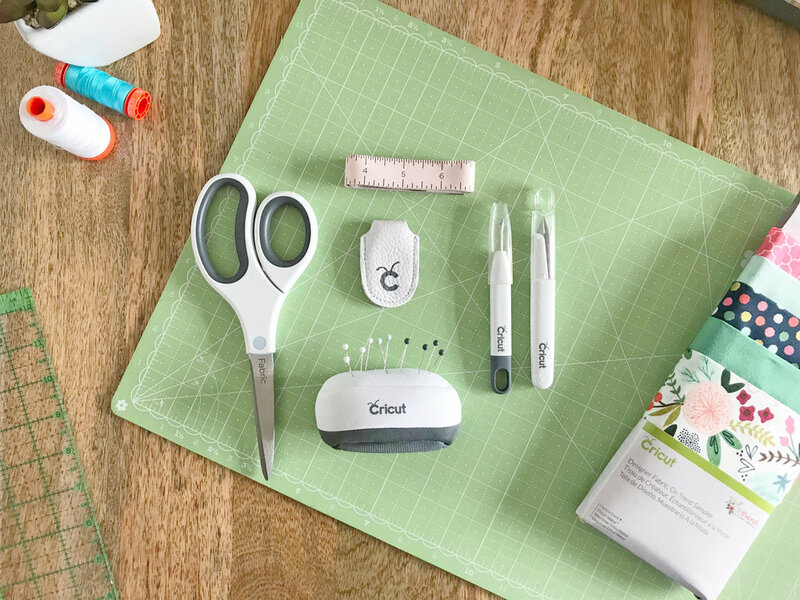 cricut design space, for those of you new to the magical world of cricut is a free, easy-to-learn design program that allows you to design your own projects. it's also cloud-based so you can work on your designs and create new ones from your mobile devices, even offline. at first, i thought it was a bit intimidating, but once you learn the shortcuts, you'll be making in no time! the design of the cricut maker is new too! there's extra storage for all your tools. they even redesigned the tool compartments making one more shallow, perfect for blades and smaller tools. they also removed the smart dial. from design space you can now select the material, blade, and cutting pressure. the addition of the docking slot is perfect for your mobile devices. there's also a USB port where you can charge your mobile devices and/or connect your bright pad (details on the bright pad below). you can binge watch your favorite shows while cutting out your latest projects. so rad! i'm obsessed with the new sewing kit. 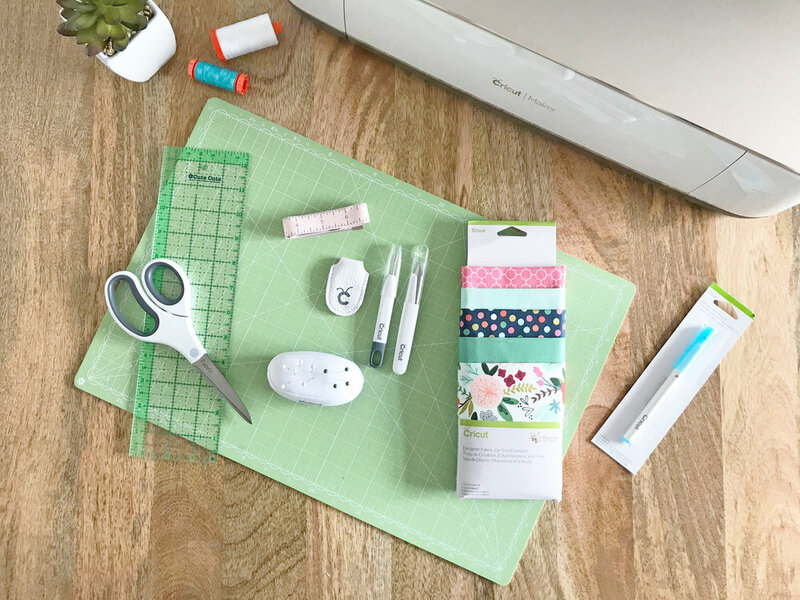 scissors, a leather thimble, pins, the most adorable pin cushion, and so much more, it's the perfect starter kit, especially for those new to sewing. cricut also introduced the easy press with it's ceramic-coated 9'' x 9'' heat plate. with the exact tempature you need, this little guy has the speed of a heat press with the convenience of an iron. they also introduced the bright pad. with it's slim profile and adjustable LED lights, this little guy let's you view every detail and is perfect for foundation paper piecing. i've had mine for a couple of months and it's awesome, especially while foundation paper piecing in the evening. i can't wait to continue to explore the cricut maker. the possibilities are endless. i think this machine will change the way we look at fabric and creating. in the photos above you can see a mini quilt i've been working on. i love that it cuts through seams like a dream. i also love the make-it-now projects including the quilts from my friends at riley blake designs. i've been able to cut squares, triangles, and half-hexagons with the cricut maker and while it might not be as fast as cutting them yourself, they are precise. 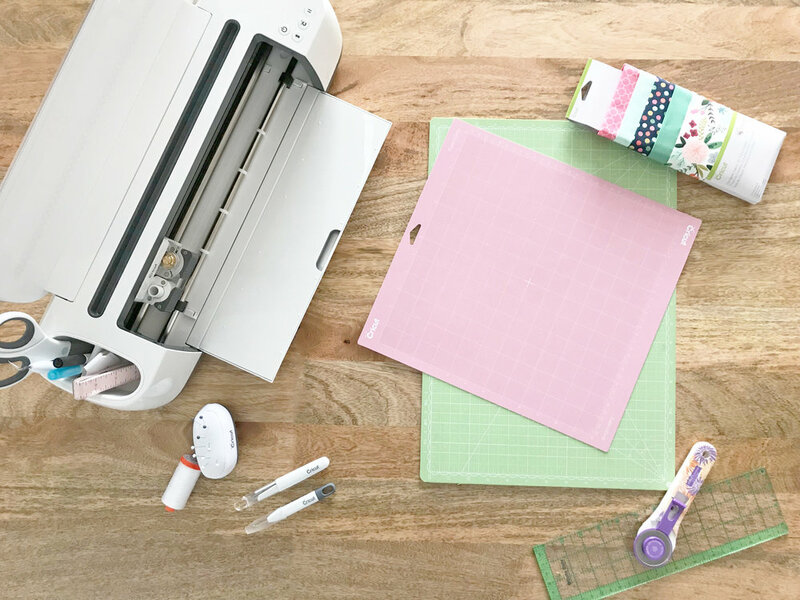 the cricut maker would make a great addition to your craft room. if you're interested in seeing the cricut maker in action, please visit circut's website. you can also do a simple google search and find lots of great blog posts, including free projects and downloads. what will you make today?